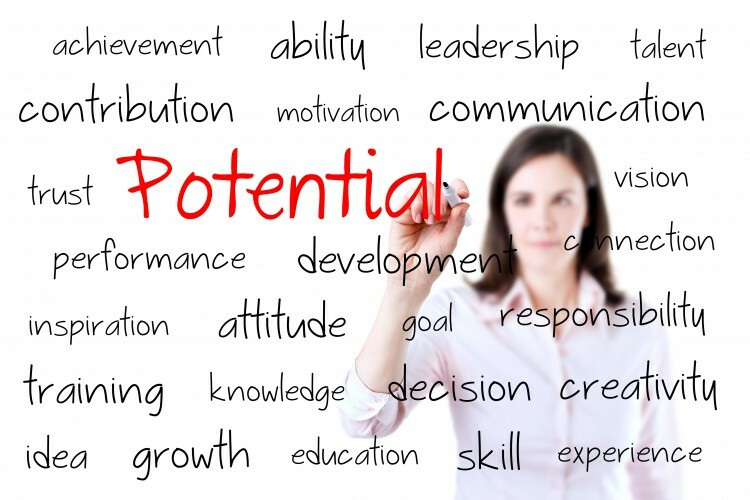 Coaching is about potential…your potential. Coaching is about relationship, leadership, character, community, and calling. Coaching is a partnership that helps you see and think through situations clearly in order to strategically and creatively design solutions. We all know coaches from the world of sports ─ you’ve likely had a coach yourself ─ and the tie between sports coaching and personal/professional coaching is not accidental. Athletes and coaching clients alike seek coaching because they want help in reaching specific objectives or in dealing with a particular challenge. Generally speaking, coaching clients often feel stuck, stagnated, frustrated, or need support to move forward. A coach’s job is to leave the person being coached ─ the client ─ with increased confidence, clearer direction, and greater fulfillment than they would otherwise have. Coaching is about change…positive change. A coach is devoted and trained to guide you through life’s challenges and help you move forward with increased competence, commitment, and confidence. Coaching does not replace therapy in helping you overcome painful and disruptive issues from the past. Coaching is for people who are relatively well-adjusted, stable, and ready to build a vision and move into the future. Much the same way an athletic coach can only coach healthy players and not the (presently) injured, a personal coach can only work with those capable of “being in the game.” Transformational coaching encompasses striking, metamorphic life change, as well as issues that may seem of minor consequence by comparison but are no less transformative by creating significant and lasting change for those who experience it. Transformational coaching is rooted in the principle that actions follow attitudes and behavior is the result of belief (Romans 12:1-2). Change your thinking and you’ll change your life. Coaching is about results…your results. Coaching is about health, strengths, and skill building; not healing or overcoming weaknesses. Coaching spends little time looking backward; it proactively looks and moves ahead. Coaching is not about recovery or healing; it’s about growing and getting healthier (mind, body, & spirit). Coaching uses tools from positive psychology to focus on what is right with you ─ your hopes, creativity, courage, and dreams ─ instead of negative psychology and what is missing, wrong, or needs to be fixed. Gary Collins (2009) defines coaching as “the art and practice of enabling individuals and groups to move from where they are to where they want to be.” A coach will help you expand your vision, build your confidence, unlock your potential, increase your skills, and take practical steps toward accomplishing your goals. Life coaching ─ whether personal, professional, or spiritual ─ is about helping you move to higher levels of fulfillment by focusing on the possibilities in relationship to your passion, purpose, and perspective. As a coach, part of my job is helping you imagine ways in which your life can be better. It’s about finding out what’s working and discovering new things that could be working. If you’ve read through the pages of my website, you may have come across the phrase “find your beach.” This phrase represents a philosophical perspective that in any circumstance, at any time, and in any place, I can find joy, peace, and fulfillment. It means, even in a fast-paced and high-stressed world, I can be calm and laid back ─ “taking it easy” from a mental, emotional, and spiritual perspective. Now, who do you know more laid-back and casual than a surfer? Surfers surf waves but they never try to create waves (no pun intended). Instead, they learn to identify waves already built by God and focus their energy on learning to ride them. When they see a good wave, they paddle up, jump on their board, and ride it for all it’s worth. Surfing is the art of riding waves…not building waves. Likewise, coaching is the art of helping you recognize the waves God brings into your life while increasing and applying the necessary skills so you can feel the rush and enjoy the adventure of riding them. Keep in mind, some of the best waves are created by or in the midst of storms. Rick Warren develops this analogy more fully in his book, The Purpose-Driven Church, but the point is well made. Defining your passion, discovering your purpose, and determining the right perspective is part and parcel to finding your wave and learning to surf it. This “find your beach” attitude and surfer analogy does not equate to a lackadaisical or apathetic approach to life. Quite the opposite in fact, it requires intentionality and purpose. As any surfer will tell you, surfing is serious business – sharks, surfboards, the sea bed, riptides, leash tangles, the wave itself, even other surfers – there’s quite a few dangers. • A desire to develop skills in athletics, music, money management, public speaking, parenting, and leadership. In order for these needs to be met, coach and client have to work together in partnership to get things done and apply present learning to future goals. Coaching is about results: helping you in the present so you can be inspired, self-motivated, and equipped for a better future. You are cordially invited to schedule a FREE Inquiry Consultation Call. There is no pretense here. This is your opportunity to share your heart, your dreams, and your challenges. No distractions, no interruptions. No expectations, no pressure. Just a chat over a cup of coffee. Yes, I would like to accept the invitation to talk about myself, my challenges, and how I’d like to make my life the best it can be. I understand there is no pressure, no right or wrong answers, no bad questions, and no reason for anxiety. I can’t blow this, get it wrong or mess it up. I simply would like to take advantage of the opportunity to share what’s on my heart and what’s prompting me to consider coaching. I desire the chance to freely and openly consider my future and how it might be different…how it can be better.